Lumpy skin disease (LSD) has affected many regions of Russia since its first occurrence in 2015. The most devastating year for Russia was 2016, when the virus resurged following a modified stamping-out campaign, causing 313 outbreaks in 16 regions. To avoid unwanted adverse reactions following the use of live attenuated vaccines against LSD virus (LSDV), sheeppox-based vaccines were administered during vaccination campaigns. As a result, LSD was successfully contained in all Russian regions in 2017. In the same year, however, LSD emerged anew in a few regions of the Privolzhsky Federal District of Russia along the northern border of Kazakhstan, which then necessitated vaccinating cattle with a live attenuated LSDV vaccine. Although live attenuated LSDV vaccines are prohibited in Russia, several vaccine-like LSDV strains were identified in the 2017 outbreaks, including commercial farms and backyard animals exhibiting clinical signs consistent with those of field LSDV strains. 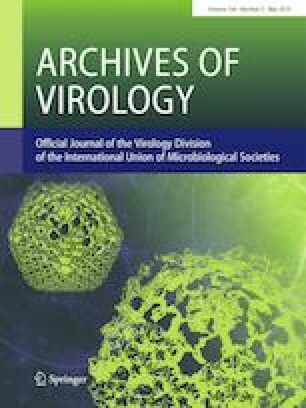 Sequence alignments of three vaccine-like LSDV strains showed clear similarity to the corresponding RPO30 and GPCR gene sequences of commercial attenuated viruses. How vaccine-like strains spread into Russian cattle remains to be clarified. Handling Editor: William G. Dundon. This study does not contain any subjects with human participants or animals performed by the authors.